Our existing Electronic Library setup has been in place for a number of years and is due an overhaul in order to make it compatible with upgrades to our library management system. We are therefore introducing a new look Electronic Library as the access point to our growing collection of digital resources. You can use the new Electronic Library alongside the old setup until 6th June. On the 6th June the old setup will be removed and all access will be through the new interface. The Electronic Library will be easily accessible via the Library HomePage and from within the Library catalogue so you can explore the full breadth of the Library’s print and electronic resources, side by side. It is active now if you would like to explore, ahead of the 6th June changeover date. Find out more about the new look Electronic Library below. If you know which resource you are interested in you can quickly and easily gain access by using the new Electronic Library A-Z. Just search by name or browse for the resource using the A-Z menu. If you do not have a particular resource in mind but want to explore all the available resources, use the new Electronic Library by Subject option. There is overlap between the various subject categories by virtue of the breadth and multidisciplinary nature of many of the subject categories. You an choose a subject and browse the Key online resources for that area, or look at a longer list of All resources relevant to the subject area. Key resources highlight the major online resources in the relevant subject area. 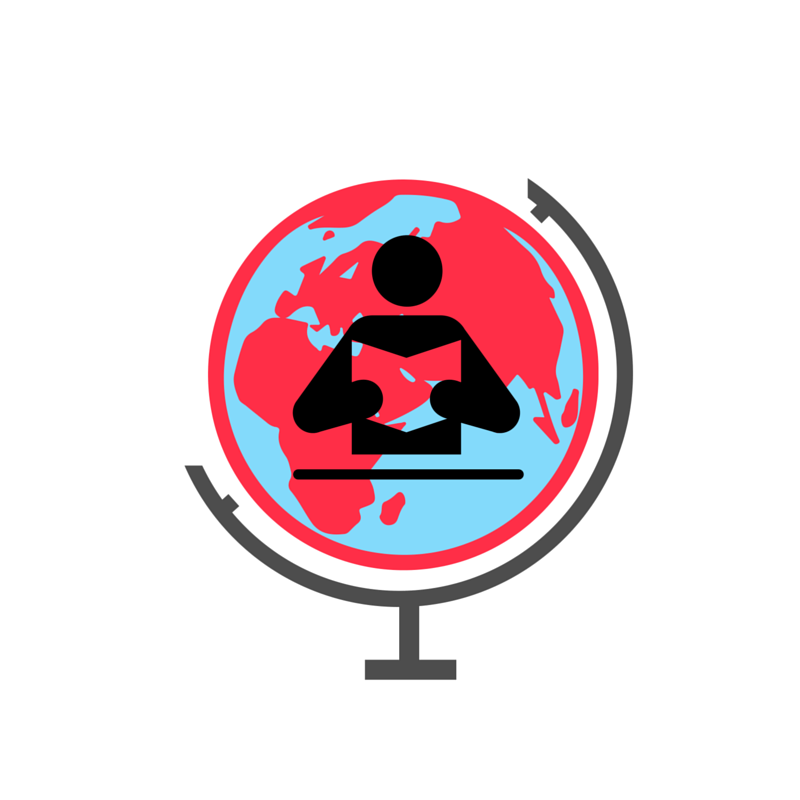 All resources lists all the online resources of relevance to your subject area. For access to the resource from the subject listing, simply click on the hyper linked resource name..
Or if you would like a little more information about the resource – click on the About Resource button. This also provides a persistent link option – useful for bookmarking or dropping into your modules if you want to direct students to particular resources. This is rather small – so you may need to enlarge your screen type! Sometimes the format of the online resources may be of importance, for example you may want to conduct research on news reporting of an event, or look for image content that you can use in your research, teaching or studies. In that case, use the new Electronic Library by Subject option and scroll to the Resource Type options at the bottom of the subject listing. This new look electronic library is a ‘work in progress’ as we continue developments to develop and maintain ease of access to our ever growing collections of electronic resources. develop these e-resource records to become more informative by including more useful details – for example what types of users can access the resources, e.g. walk-in access users, alumni etc. This entry was posted in E-Resources on 24th May, 2016 by Lee Snook. 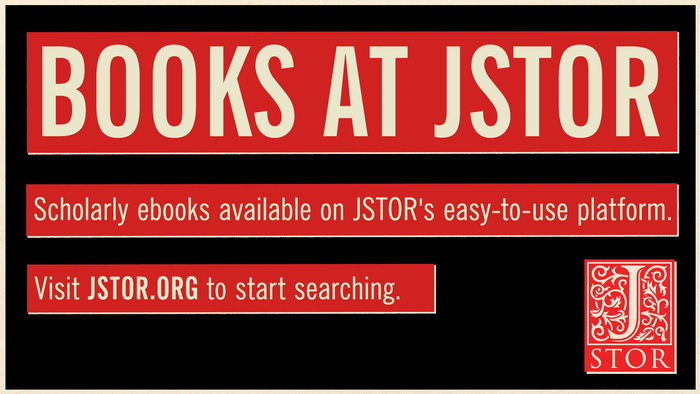 Integration with Journals: The ebooks are available on JSTOR alongside more than 2,000 journals. 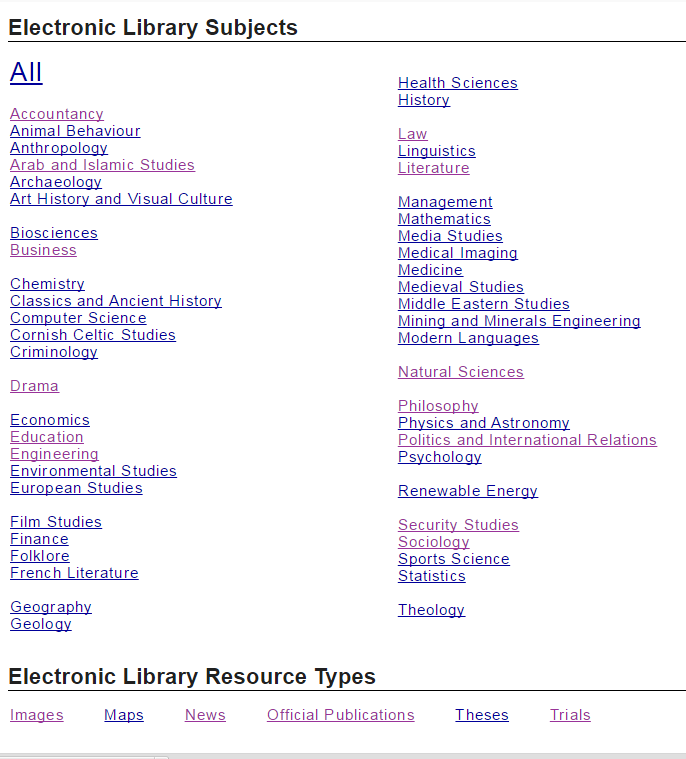 When you search on JSTOR.org, you’re cross-searching the full text of all the resources the library provides through JSTOR. The ebooks and journals are also linked in ways that make research more efficient. Easy to Use in links: If you’d like to use the ebooks in a course or keep a record of important chapters or books for referencing, you can use the stable URL for a chapter or a full ebook. On-campus and remote access: Content is available 24/7, and together with no limits on simultaneous use, the ebooks are always available for use. 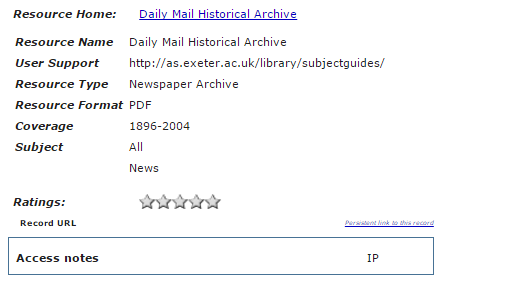 Book and chapter citations: Citations may be emailed, exported, or copied from the item view page. JSTOR provides pre-formatted citations in MLA, APA, and Chicago styles for quick copying and pasting. Export options include direct export to RefWorks, RIS format, and text format. The Library is using a ‘try before you buy’ purchasing model for these books to make sure we get best value for money and so that you can use those books which are most relevant to your teaching, research or study. So you will have access to all books in the JSTOR collection but the Library will only pay for those items that are used. As we are using this model you won’t see these books on the library catalogue until they are purchased, following usage. But don’t worry, these books are easily discoverable. You’ll come across them when using search engines such as Google as the JSTOR content is indexed there. And you can use the JSTOR platform to search/browse just the books, or to search the books alongside all the other JSTOR content for a rich research experience. You can view a short video about using ebook chapters, or visit JSTOR to start using the ebooks. If you are off campus make sure you login as University of Exeter so you have full access to content. and let us know what you think of JSTOR books. This entry was posted in E-Resources, Ebooks on 26th Apr, 2016 by Lee Snook. They provide contemporaneous accounts of events as they emerge and unfold, affording a snapshot of developments at a point in time. By using news archive services, you can also engage in historical research by tracing commentary on issues over time, to identify and track changing political, economic and social trends. For example, when did global warning first emerge as a ‘hot topic’ in the press? Who are the major pressure groups and organisations debating this agenda? How has terminology in this area developed and changed over time?, etc. The availability of news resources online allows for very effective and comprehensive searching, in a way that was impossible with print or microfilm / microfiche editions of the newspapers when research could be a very long, laborious and somewhat haphazard process. A new online guide introduces you to the main news sources that are available to you through the University of Exeter. It touches briefly on print and microfilm news materials so that you are aware of the full range of news content available to you. However, the majority of the guide concentrates on online news services as these are the key tools for any researcher who wishes to conduct comprehensive news research. We look at our online services for current news, archival news and also audiovisual sources. Take a look at the guide which is available within the Library & Research Skills module on ELE. This entry was posted in E-Resources, Information skills, Research on 20th Apr, 2016 by Lee Snook. 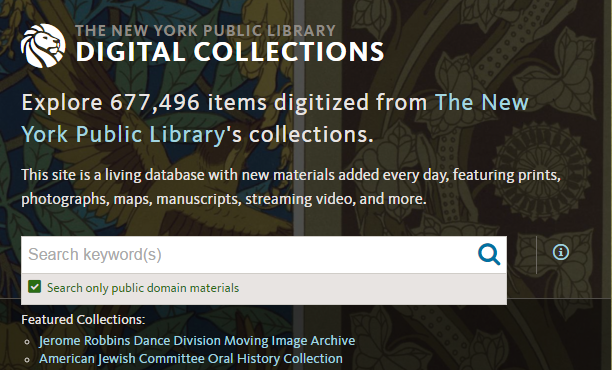 The New York Public Library (NYPL) Digital Collections is a vast living database of digitised materials from the NYPL library collections, with new content added every day. Content spans a wide range of historical eras, geography, and media, and includes drawings, illuminated manuscripts, maps, photographs, posters, prints, rare illustrated books, videos, audio, and more. Encompassing the subject strengths of the vast collections of The Library, these materials represent the applied sciences, fine and decorative arts, history, performing arts, and social sciences. You can search or browse to find content. NYPL’s Introduction blogpost is a great way to learn how to navigate your way around the collections effectively. You can restrict your searching and browsing to Only Public Domain materials, which means you are free to use the content without restriction. This covers more than 180,000 items! Find out more about how you can download and reuse these public domain materials. If you wish to use material which is not in the public domain and is subject to copyright (this is clearly flagged on each item) it is your responsibility to determine and satisfy copyright or other use restrictions when publishing or otherwise using the materials. 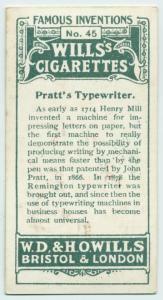 Here is an example of a public domain item – Pratt’s Typewriter, as depicted on a cigarette card from the Arents Tobacco Collection. Take a look around the digital collection to see if it holds materials of interest to your research, teaching or studies – or just for a fascinating general insight into historical materials! This entry was posted in E-Resources on 14th Apr, 2016 by Lee Snook. New look for ‘Defining Gender’ resource. Defining Gender explores the study and analysis of gender, leisure and consumer culture; one of the most vibrant areas of social, cultural and intellectual research, transcending traditional disciplinary boundaries. This exciting collection of original primary source material from British archives will enrich the teaching and research experience of those studying history, literature, sociology, education and cultural studies from a gendered perspective. The broad range of thematically organised documents from selected libraries provides an excellent opportunity for comparative study and research. Manuscripts, printed works and illustrations combine to address the key issues from both masculine and feminine perspectives. They are indexed to provide ready accessibility for students across all five sections. 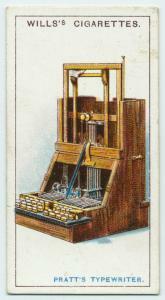 A wide range of different types of content is available, encompassing; ephemera, pamphlets, college records and exam papers, commonplace books, diaries, periodicals, letters, ledgers, account books, educational practice and pedagogy, government papers from the Home Office and Metropolitan police, illustrated writings on anatomy, midwifery, art and fashion, manuscript journals, poetry, novels, ballads, drama, receipt books, literary manuscripts, travel writing, and conduct and advice literature. This resource is available via the Electronic Library and the Library Catalogue. When you login, choose the Introduction menu bar option for access to information about the resource, including a tour. Use the Explore option on the menu bar to start browsing or searching. This entry was posted in E-Resources, Research on 5th Feb, 2016 by Lee Snook. 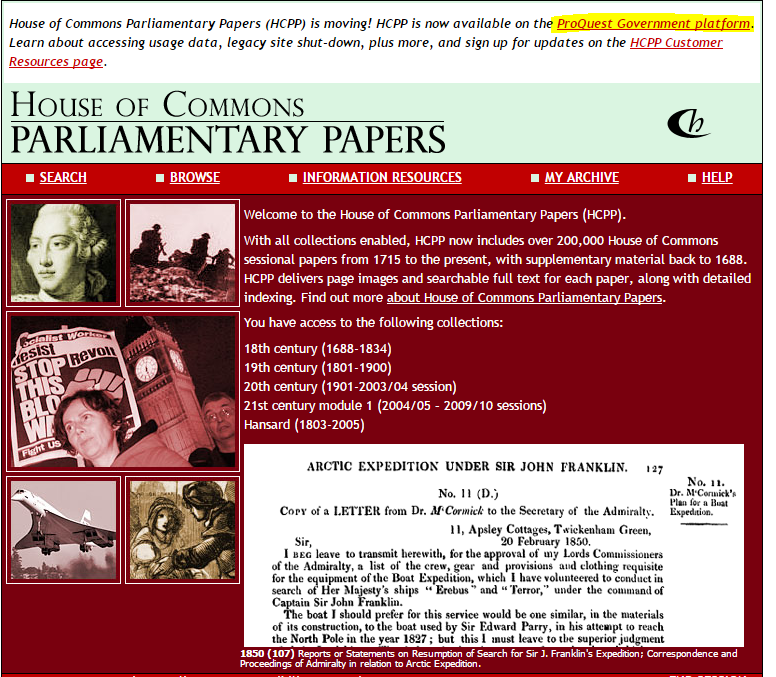 The University has access to the House of Commons Parliamentary Papers database and it is accessible through the library catalogue and the electronic library. This is a great research resource and it is now migrating to a new platform in order to make searching much easier. At the moment both the old service and the new service are running – so if you are an experienced user of the old system you have some crossover time in order to become familiar with the new search interface before the old familiar one is switched off. The old ‘legacy’ interface will continue until March 2016. Once the transition is complete, the service will be renamed as ProQuest U.K. Parliamentary Papers. Login to the service from the library catalogue or the electronic library. and choose the Proquest Government Platform link at the top of the page to view the new interface. A LibGuide is available to help you make the most of the new interface. The search syntax section outlines all the search functions that you can use to frame a search tailored to your research need such as wildcards, phrase searching, and boolean and proximity operators. This entry was posted in E-Resources, Law, Official Publications on 11th Dec, 2015 by Lee Snook. What’s included in the Maritime & Commercial package on i-law.com? See below for a reminder of all the resources available to you via i-law.com’s Maritime and Practice Area. The i-law team are on hand to assist with any i-law.com queries you may have, and to provide any training or support you require. Contact our Client Services Team via email: clientservices@i-law.com or call +44 (0) 207 017 7701.If you need help to make use of these resources you can contact the i-law.com team. You can also book onto one of the regular training sessions using our online training calendar.We offer training videos that will take you through a variety of i-law.com functionality, and you can access the i-law.com user guide at any time. And don’t forget we have access to the the Insurance and Reinsurance and Dispute Resolution Practice Areas too, providing access to a wide range of similar quality resources. For access to i-law.com, use the library catalogue link or login via the electronic library. Guidance on logging on for the first time is available from the e-resources blog. This entry was posted in E-Resources, Law on 8th Dec, 2015 by Lee Snook. FT.com and Passport – find out more! If you want to see how to get the best out of FT.com, the online version of the Financial Times, two of the FT’s academic trainers are visiting Exeter on Wednesday December 9th and will be giving a presentation in Forum Exploration Lab 1 from 12.30 – 1.30pm. There is no need to book – just turn up. Following this they will be available at a stand outside the Library until 3.00 pm to answer any of your queries and questions – drop by and say hello. FT.com is available to all members of Exeter University via the Electronic Library – listed under resource type Newspapers as Financial Times (FT.com) or via the library catalogue. You don’t need a separate login – just sign in with your Exeter username and password and set up a free account using your Exeter email address and your own password. If you have problems getting into the online version use either of the links above to get back into contact. You can also read it on most mobile devices. Trainers from Passport will be coming to Exeter on Tuesday December 8th and will be giving a demonstration of the database in the Bateman Lecture Theatre in Building: One (Business School). Again, there is no need to book. If you need market research information for your research, Passport from Euromonitor is an incredibly valuable resource. The database has global industry data, market research and country reports. It supports a wide range of courses, including international business and marketing, economics, social sciences, humanities, international relations, travel and tourism, hospitality management and food marketing. Over 205 countries are researched, both developed and emerging markets. It also has detailed profiles of the top international companies, compiled in a standardised format for cross analysis. This entry was posted in E-Resources, Training on 4th Dec, 2015 by rmo204. As of 1st December 2015, the full text book and looseleaf collection available to you on Westlaw has been boosted. Over 200 titles are now available for browsing and searching. 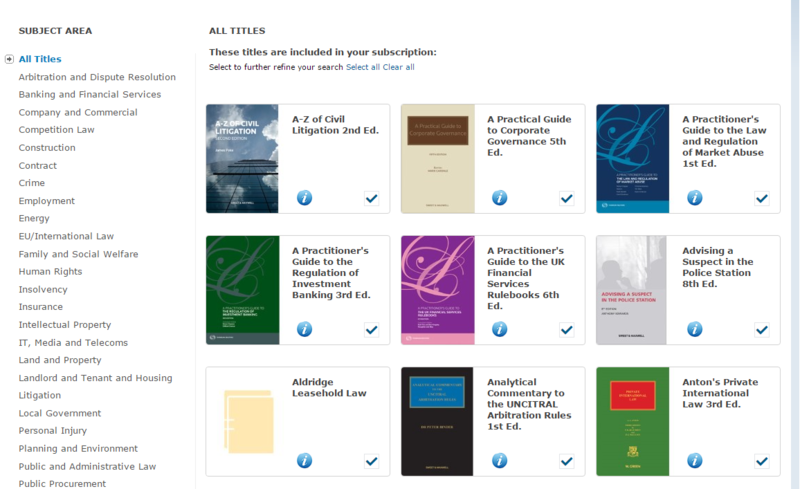 For access, login to Westlaw UK via the Electronic Library, or through the catalogue link and click on Books. You will see a long list of material available to you in full text. You can click on individual titles and browse or search for content. Or select a Subject Area if you would like to search across a range of titles in a particular field such as Contract, Crime, Insurance etc. Westlaw’s Book and Looseleaf brochure gives you an idea of subject coverage and title availability. This entry was posted in E-Resources, Law on 1st Dec, 2015 by Lee Snook. Westlaw have introduced a new service for accessing international legal materials. 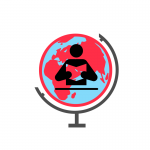 The new service is called WestlawNext and is intended as more user friendly platform to make your international research more efficient and effective. Access the service via the Westlaw entry on the Library catalogue. You have both on campus and off campus options available to you for login. If you experience any problems with off campus access, please use the VPN service which will enable you to connect to the University campus network from offsite. You can then use the on campus links for access as your VPN enabled computer will operate as if it is on the University IP network, Full instructions on accessing the University network from other locations with VPN are available. The new service is available by selecting International Materials from the Services menu on the top menus bar of Westlaw UK. You will be able to see two links under the services tab on Westlaw UK for Westlaw International and International Materials over the next few weeks, but from 18 December 2015 access to the current Westlaw International platform will no longer be available. This entry was posted in E-Resources, Law on 26th Nov, 2015 by Lee Snook.